Today, civil society groups, scientists, political leaders and business owners from across Australia and the United States delivered an open letter to U.S. Export-Import Bank (Ex-Im) Chairman Fred Hochberg calling on the Bank to reject any bid to finance Indian coal conglomerate Adani's proposed Carmichael Coal Mine, railway, or ports with U.S. taxpayer dollars. 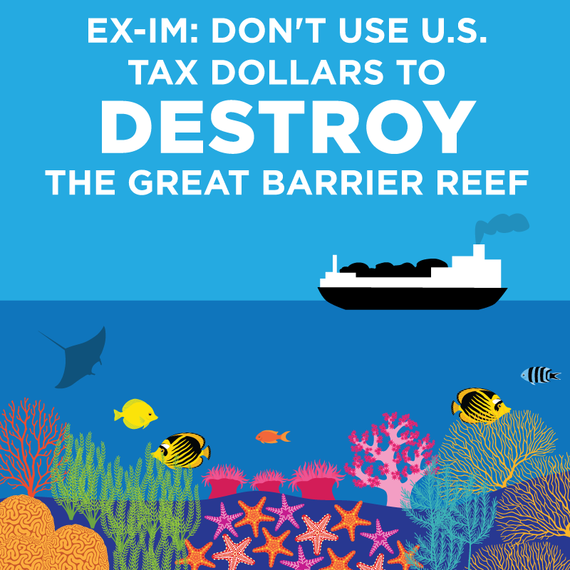 Media reports have linked Ex-Im to the Australian coal project, which, if completed, would open Australia's Galilee Basin for coal mining, unleashing a 7.6 billion tonne carbon bomb into the atmosphere once the coal is burned. The coal will be transported by rail from the mine to the coast and shipped overseas through ports that will be expanded by dredging 3 million tonnes of seabed from the bottom of the Great Barrier Reef. If the planet has any chance of staying below a 2 degree Celsius temperature jump and averting catastrophic global climate disruption, massive reserves of fossil fuels like this that must stay in the ground. If this sounds too ridiculous to be true, know that you are not alone in thinking this way. Private banks are running away from the project. Citibank, Deutsche Bank, Royal Bank of Scotland, HSBC, Barclays, Goldman Sachs, and JPMorgan Chase have all said they will not back the project, in part because it could jeopardize the Reef's World Heritage status, and in part because reports show the project is not financially viable. And now Queenslanders, the people from the state where the project would be built, have rejected it as well. In January's election, the conservative Liberal National Party (LNP) and the billions of Australian taxpayer dollars the party promised Adani were rejected by voters. Instead, the Greens won record support in key electorates, while a new Labor-led government was elected on the promise to protect the Reef -- pledging to prevent any dredge spoil from being dumped in the World Heritage Area or nearby wetlands, and to reject tax breaks for Adani as well as the use of tax dollars to support rail infrastructure connecting the mine to the ports. It was clear that the project was a financial boondoggle even before the Queensland election, and it is even clearer now that no U.S. government institution should consider directing U.S. tax dollars towards Carmichael now. Moreover, a new report from Environmental Justice Australia reveals that the previous government rushed the approval process for Adani, calling into question Adani's authority to even operate in Australia, citing a failure to investigate Adani's flagrant disregard for environmental laws in India. But even without the Queensland election and this latest report, it's obvious that Ex-Im should not consider support for this coal project. It goes against President Obama's climate goals and the spirit of his Climate Action Plan. Furthermore, the President spoke at length on the need to protect "the incredible natural glory" of the Great Barrier Reef while in Australia for the G20 summit, saying, "I want to come back, and I want my daughters to be able to come back, and I want them to be able to bring their daughters or sons to visit. And I want that there 50 years from now." So why does Ex-Im continue to allow stories linking it to Adani to go unrefuted? 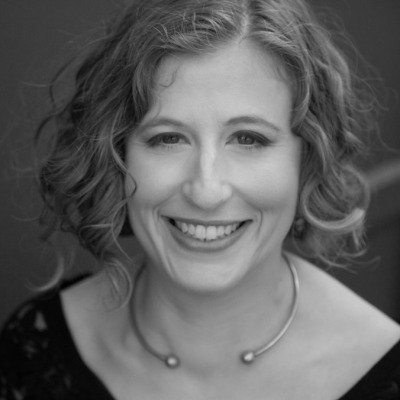 Perhaps it is due to Chairman Hochberg's long history of supporting financially questionable and dangerous fossil fuel projects fraught with massive environmental and human rights violations. The people of Queensland have spoken. The major banks have spoken. Even the President of the United States has spoken. 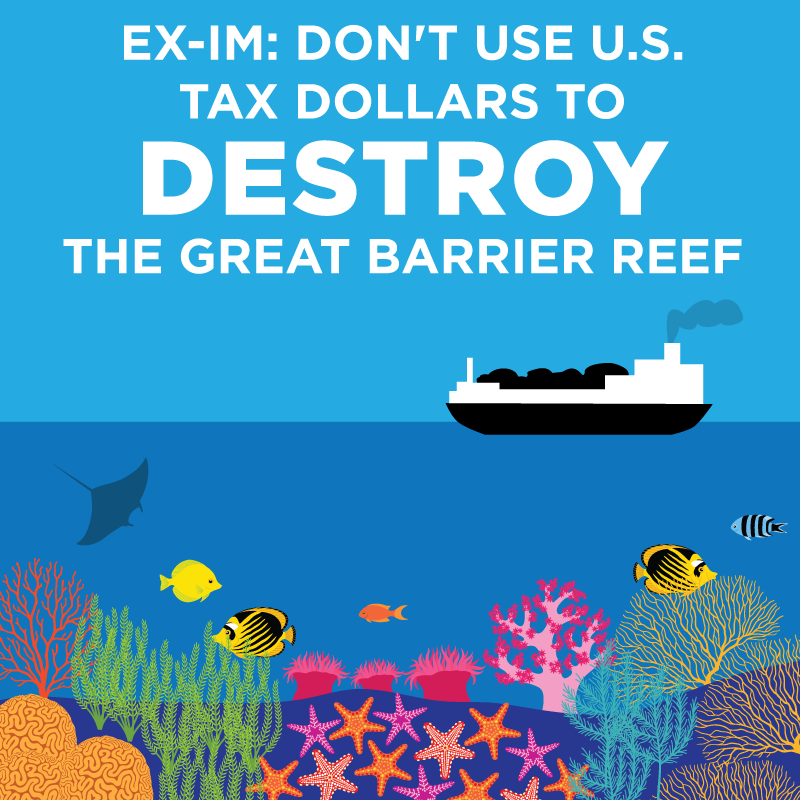 It is time for Ex-Im to stop lagging and state unequivocally that it will reject any proposal to use our tax dollars to support Adani's failing Carmichael mine.